Vaccines can help prevent deadly infectious epidemics – and in the wake of the likes of Ebola and Zika, the need for the world to do more collectively to develop, produce and distribute vaccines has become starkly apparent. But what actually is a vaccine? Here we explain how they work, what they’re made from and how they’re delivered. A vaccine gives us a controlled first exposure to a disease. This trains our immune system in case we encounter the disease in the future. Our immune system fights disease by distinguishing between things that belong in our bodies and things that don’t, destroying the latter. Unwanted foreign substances are identified from markers on their surface called antigens. A vaccine works by exposing the immune system to the antigens of a pathogen, something such as a virus or bacterium that causes disease. When your immune cells encounter these antigens, they start making antibodies – which attack the foreign substance directly – and also produce long-lived types of white blood cell called memory T cells and memory B cells. If your immune system encounters the same antigens again, the memory cells ensure that many specific antibodies are made quickly and in high quantity, so you are much less likely to get ill.
Why don’t we have vaccines for all diseases? For some, scientists haven’t been able to provoke a strong enough immune response using standard vaccine designs. For others, there may be several promising vaccines, but rigorous safety and efficacy testing means that it may take years before a vaccine becomes available. Or it may be that more funding is needed. A vaccine contains the antigens of a pathogen to provoke an immune response and stimulate the production of antibodies. However, there are different types of vaccine, which deliver antigens in different ways. Live attenuated vaccines : Some vaccines – such as the BCG (Bacille Calmette–Guérin), which protects against tuberculosis – contain a live version of the whole pathogen. However, in such cases the strength of the pathogen (its virulence) is weakened (attenuated) before it is given, to reduce the chance of infection. Live, attenuated viruses are also used in the measles, mumps and rubella (MMR) vaccine. Inactivated vaccines : Some vaccines contain an inactive version of a pathogen, one that has been killed – for instance by using heat or formaldehyde. The immune system can still recognise and respond to the pathogen, but as the pathogen cannot reproduce, it poses no risk of infection. Cholera, hepatitis A and rabies vaccines all contain inactivated pathogens. Toxoid vaccines : The symptoms of some diseases are caused by harmful products of bacteria, known as toxins. Vaccines for these diseases, for example tetanus, use inactivated versions of toxins (called toxoids) to stimulate an immune response. Subunit vaccines : Other vaccines contain only the antigens of a pathogen that best stimulate a response – these are known as subunit vaccines. By including only the essential antigens, and not the whole pathogen itself, these vaccines are much less likely to cause an adverse reaction, and pose no risk of infection. However, subunit vaccines tend to induce a weaker immune response than live attenuated vaccines. Conjugate vaccines : Finally, some pathogens can be hard for the immune system to identify, and so require a special type of vaccine. Bacteria coated with sugar molecules known as polysaccharides are able to mask the antigenic material on their surface, making it difficult for the immune system to recognise them and mount a response (especially in children). To fight against this, conjugate vaccines are created: the bacteria’s sugar coatings are isolated as subunits and then chemically joined to larger, more readily identifiable carrier proteins. These new constructions, being recognisable, stimulate an immune response that creates antibodies that can also recognise and fight against the coated bacteria in the future. The antigens in a vaccine are biological matter, and so will break down if exposed to high temperatures. This can reduce or even entirely destroy a vaccine’s potency. Biological molecules also degrade naturally over time, and reducing their temperature slows the rate of degradation. However, vaccines containing aluminium-based adjuvants cannot be frozen, as sub-zero temperatures upset the adjuvants’ structures, rendering them ineffective. This is why the World Health Organization (WHO) recommends keeping most vaccines between 2°C and 8°C, though there are some exceptions. 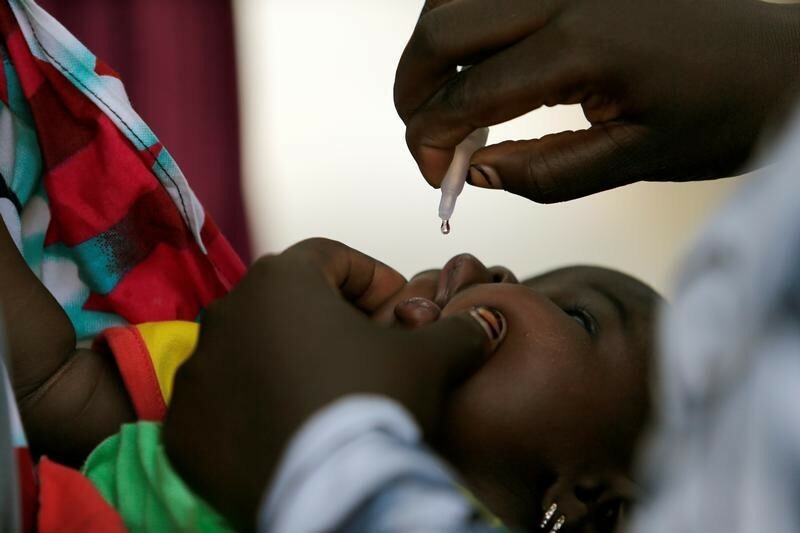 The oral polio vaccine, for instance, is notoriously unstable, and so WHO recommends storing it between –25°C and –15°C ahead of it being distributed for administration. Keeping vaccines cold right up until they are administered (known as ‘maintaining the cold chain’) is a big challenge in lower-income countries. Many have hot climates and limited, intermittent electricity supplies, making constant refrigeration difficult. Thankfully, there are a number of solutions. Vaccines generate immunity across the body as a whole, but they can also provoke specific immune responses in specific body areas. For this reason, the particular delivery method of a vaccine is important. For example, the oral polio vaccine is ingested in order to stimulate the creation of antibodies in the lining of the intestines, as this is where the poliovirus ends up and multiplies after entering the body in contaminated food and water. However, specific delivery routes are also sometimes necessary to minimise the chances of vaccines having adverse effects on the body. Vaccines containing aluminium-based adjuvants often cause inflammation (granulomas) unless they are injected into muscle tissue, while the BCG vaccine for tuberculosis is injected into the topmost layer of the skin – a process known as intradermal injection – to avoid it causing damage to blood vessels and nerves. Some vaccines – such as those for yellow fever and MMR – work best when released slowly into the body. For this reason they are injected into the layer of fat between the skin and muscle. The limited blood flow in this area prevents the vaccine from being distributed around the body too quickly. This method is known as subcutaneous injection. Vaccines are very effective at providing individuals with immunity against certain diseases, though they don’t provide immunity in 100 per cent of cases. Every person’s immune system is different: some people won’t create antibodies in response to a vaccine’s antigens and therefore won’t become immune. Live vaccines are usually the best at provoking an immune response, but there is a very small risk that the live pathogen will mutate to an infectious form. For example, it’s estimated that the live virus in the oral polio vaccine can cause paralysis in about 1 in 2.5 million doses of the vaccine. Rates of effectiveness also vary from vaccine to vaccine: a three-dose course of the inactivated polio vaccine is 99 per cent effective, whereas the effectiveness of typhoid vaccines is only around 70 per cent. A further complication is that the effects of some vaccinations wear off over time. Two doses of the MMR vaccine will usually provide 20 years’ protection against measles, but the effects of a typhoid vaccine will typically wear off after three years. Scientists are currently trying to work out why this happens. This is why we have boosters – to ‘remind’ our immune system how to identify certain pathogens and top up our immunity. At the population level vaccines are highly effective. They have got rid of some diseases for good, such as smallpox, which was declared eradicated in 1980. In other cases vaccines can keep a disease from spreading. This is achieved through herd immunity. No vaccine is 100 per cent effective, and not everyone in a population will be vaccinated; however, if most of a population are vaccinated and become immune to a disease, its ability to spread will be vastly reduced. This protects people without immunity from infection too. With measles, for example, 95 per cent of a population must be immune to maintain herd immunity. Failure to maintain herd immunity can be dangerous. The measles outbreak in Wales in 2013 was due to falling vaccination levels, which meant that infected people were more likely to come into contact with others who were unprotected. Vaccines are very safe in the Western world – national regulatory authorities govern their testing and manufacture, which ensures that they are safe for human use. Even so, not everyone may be able to be vaccinated. People allergic to trace elements such as egg protein or pork gelatine have to avoid vaccines that are grown using these substances. Some people may be allergic to the antibiotics used in some vaccines. This is why antibiotics that are known to often cause allergic reactions, such as penicillin, are generally not used in them. It is recommended that pregnant women avoid taking live vaccines, to prevent live pathogens affecting their unborn child. Likewise, adults recovering from certain illnesses are advised to delay taking certain vaccines until they have recovered. There are many rumours about negative side-effects of vaccines, which are not just untrue but potentially very damaging. A false claim linking the MMR vaccination to autism in the UK in the 1990s caused levels of vaccination to fall significantly in some parts of the country. This led to a reduction in herd immunity, which has resulted in outbreaks of measles and mumps in recent years. Both these diseases can cause encephalitis, a rare but potentially deadly inflammation of the brain. The greatest risks surrounding vaccination are in low-income countries. These risks concern not the vaccines themselves, but their regulation and administration. 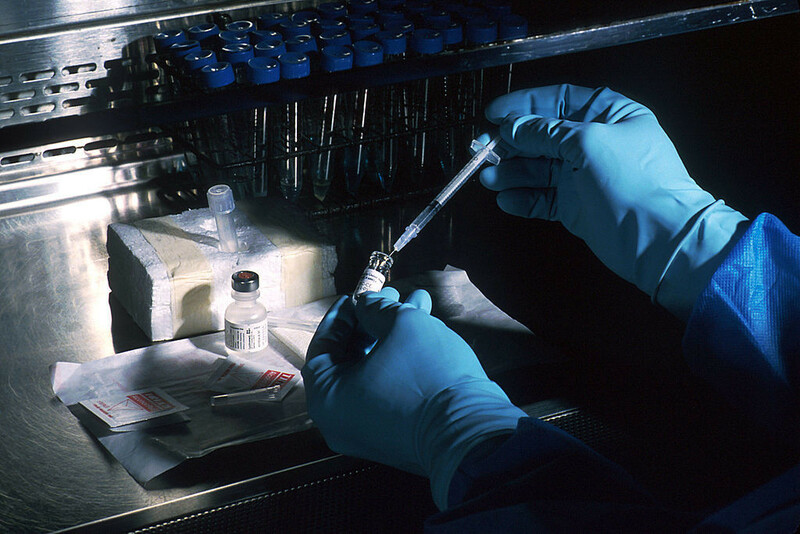 Unreliable regulatory authorities in some countries may not be able to stop fake vaccines being produced; failure to keep the vaccines cold right up until they are administered may result in spoiled, ineffective vaccines being administered; and insufficient education among those administering vaccines may result in needles being reused, risking the spread of blood-borne diseases such as HIV/AIDS. Vaccines are given to people when they are at risk of contracting a disease. Many vaccines are given at a young age because children’s bodies may not be strong enough to fight off naturally occurring diseases, which puts them at risk. Measles, for example, killed 134,000 people globally in 2015, and is one of the leading causes of death among young children – this is why children are given a measles vaccination at an early age. Some vaccines are given to children because they work less effectively in adults. However, certain diseases become a risk only later in life and so childhood vaccination is not needed. Human papillomavirus (HPV), which can cause cervical cancer, is transferred through sexual contact, so the HPV vaccine is commonly given to girls only once they have reached puberty. Likewise, before the age of 65 most adults aren’t at risk of becoming seriously ill from influenza. However, as the body ages, its ability to fight flu decreases. Because of this, elderly people are one of five groups that WHO recommends receive seasonal flu vaccination. In a number of European countries, as well as Australia and Canada, there are no mandatory vaccinations, and some parents decide not to get their children vaccinated. This could be because they are worried about potential side-effects or because vaccinating conflicts with their religious beliefs. Their children remain protected as long as coverage doesn’t fall below the critical threshold for herd immunity. However, if there is an outbreak, unvaccinated children will be susceptible and will help the disease to spread. And some children cannot be vaccinated, either because they are too young or because they have an illness that makes vaccination unsafe. These children are also put at risk if herd immunity is compromised. In other places, vaccinations are obligatory to ensure herd immunity. In New York State, for example, children must have the required vaccinations before starting school. There are limited exemptions on medical grounds or for parents with religious objections. This piece was created by Wellcome using articles from Big Picture , and is published here under a Creative Commons licence.